Oklahoma Connection | Carey came to Oklahoma City, Oklahoma after she was married. 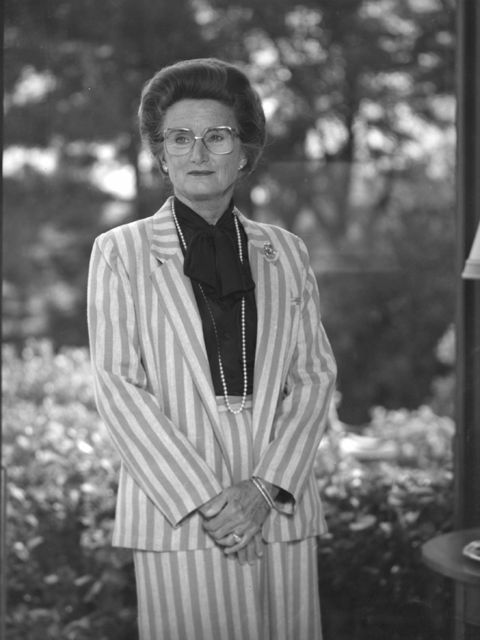 Jacqueline Carey was chosen by Oklahoma City business, professional and civic executives as one of the “10 Most Influential New Generation Leaders” in 1985. Jacqueline L. Carey was born in Illinois and graduated from Evanston Township High School, Monticello Junior College, and as an education major at Northwestern University. She moved to Oklahoma City with her husband, William, and became an outstanding example of a multi-talented woman who built a distinguished career in community service. She was named president of the United Way of Greater Oklahoma City, served as secretary of the Oklahoma Symphony Board of Directors, and was a member of the board of the Oklahoma City Community Foundation and the Oklahoma City Planning Commission, among others. Mrs. Carey was director of the Allied Arts Foundation and served as an officer of the Junior League of Oklahoma City and the director of the group’s national association in New York.